Known for her great taste in style and design, Kassandra's eye for quality elevates the potential of her projects. She is a young, Greek American woman with a background in Fashion Business and Real Estate Development and has merged these experiences to bring forth a contemporary edge to the service of real estate. In her free time, she loves exploring unique coffee shops in different neighborhoods of Chicago allowing her to provide a unique perspective of the whole city. She frequently travels to new and adventurous places around the globe, some of her favorite destinations being Greece, Switzerland, and Italy. 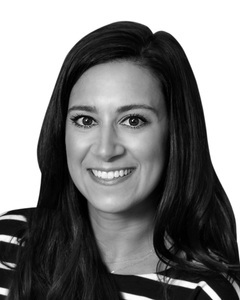 As Executive Assistant and Client Coordinator to Melissa Siegal, Kassandra brings the same superior service to clients. 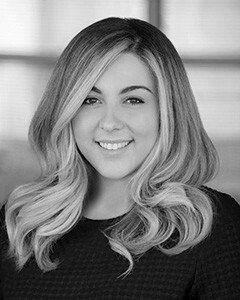 Kassandra manages active listings and buyer clients to ensure they are fully communicated with throughout their entire experience with the Melissa Siegal Group. 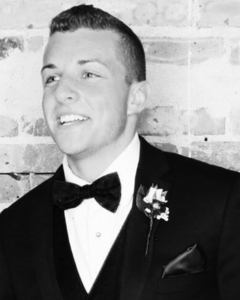 Born and raised in the Northern Suburbs, Ruari developed his love for Chicago architecture at the ripe age of eight. After returning from the University of Iowa, Ruari fulfilled his dream of living in the buildings he admired as a kid. Exploring every neighborhood across the city (and calling everywhere from Old Town to West Town home), Ruari has always had his finger on the pulse. Working for his family's company, Ruari was able to hone the customer service skills he prides himself on today. He was determined not to let his personal ties pave the way for his success, so he worked his way up from the bottom and learned every aspect of the business along the way. Ruari's loyalty to the business and his customers was unparalleled, but he knew it was time to follow his heart which lead him to @Properties. With over $100 million sold and over 300 transactions to date, the Melissa Seigal group knows how to get the job done, but it's their reputation for unrivaled client satisfaction that attracted Ruari to the team. As an empathetic listener with a calming demeanor, you will always feel confident knowing you have Ruari in your corner. 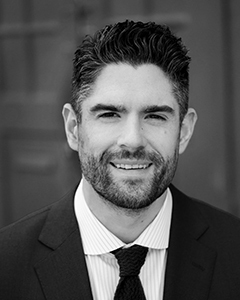 Ruari is able to anticipate the needs of his clients and exceed their expectations. He makes the process feel seamless - exactly as it should be. I have had a passion about real estate since a young age. @Properties has given me the opportunity to work in the Chicagoland area as a trusted real estate professional with the primary goal of finding my clients the perfect home. I am also a home staging professional, working to make your home as appealing as possible to potential buyers. Please send me a direct message or email and I would love to talk more about how I can help in both finding your dream home, and maximizing the selling potential of your current one. Liz Kole epitomizes integrity, energy, hard work, and creativity in every detail of your real estate transaction. Answering phones and cashiering at a Harley dealership started her sales habit at a young age of 16. Liz’s recent experience was with a world-renown luxury retailer that prides itself in customer service and satisfaction. There she lead a multimillion dollar business and was personally recognized multiple times for impressive results. She has continued making and nurturing relationships which leads her to the real estate industry. This is where she can make the biggest impact on people’s lives during such an important time. Liz understands the importance of consistency, efficiency, and meeting the needs of her clients. Liz currently resides in the beautiful Lincoln Park neighborhood. What she loves most are the Chicago summers and all the events around the community. She enjoys pilates, spending time with her family, and traveling to see her brother who currently serves in the US Army. Liz currently challenges herself to dine at all the amazing Chicago restaurants on her ever-growing list! Being a part of the Melissa Siegal Group with @properties is important when carefully choosing an agent. The Melissa Siegal Group is proud to share that they have over $100 million sold with over 300 transactions to date. Liz’s commitment to her clients is to be transparent, focused, and efficient in order for this process to be seamless. Call Liz today for ease of mind as you buy, sell, or rent real estate! 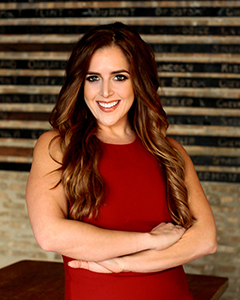 Rachel works closely with every client to navigate the world of Chicago real estate. The key to her success is providing accurate information and attentive guidance that includes room for all questions you may have… and don't hesitate to ask! Taking the time to hear your needs and make you feel comfortable is Rachel's mission and forte. She understands the big move you're making, and wants to be your advocate and staunch defender in your quest for the best home. River North, West Town, Lakeview, and Lincoln Park are all places Rachel has called home. With the Melissa Siegal Group, Rachel travels throughout Chicagoland to make your visions of home come to life! With a background in the non-profit sector and theatre, she blends her creative and business side, which ensures that your experience is enlightening. Rachel's diverse background has made her interpersonally savvy, plus skilled at major negotiations. 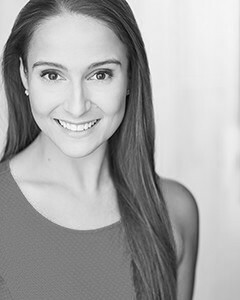 Originally from the suburbs of Chicago, Rachel is a graduate of New York University. She loves the unparalleled energy and diversity of the great city of Chicago, and enjoys sharing her passion and insight with her clients.